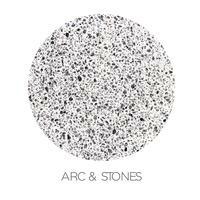 This EP from Arc and Stones shows some interesting variety. The first couple songs border on progressive rock styled alternative music. The rest rocks out with more mainstream sounds. There’s not a bad song here. I’d love to hear more from these guys because they’ve produced a pretty awesome EP here. Rising up gradually with melodic sounds, this feels quite progressive rock oriented at first. The vocals, though bring a bluesy vibe to the table. After the first verse they add some crunch and power to the festivities and this really rocks. Then a powerful alternative rocking hook emerges. As the cut continues, it alternates between those powered up sections and mellower ones. It’s all cool, though. A piano and vocal arrangement opens this. The cut gets more layers of sound as it continues with some acoustic guitar rising up gradually. Eventually it powers out into some killer hard rocking sounds. This is again, the kind of music that’s almost progressive rock. It’s sort of right on an edge between prog and alternative rock. 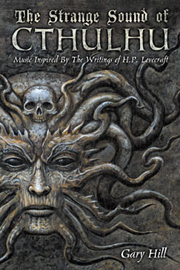 Several changes emerge here and this is another dynamic and powerful piece of music. This cut isn’t as varied and dynamic as the two openers. It’s got a great power ballad element to it. It’s also quite soulful and evocative. It’s arguably an even stronger tune than those first two. The hook is accessible and there’s a real classic sound to it with a modern vibe at the same time. It drops to a little bit of space music at the end. This hard rocker is blues and very cool. It’s got some great guitar sounds and is another that showcases a great combination of retro and modern sounds. This is another highlight of the set. There is almost a punky edge to it. As good as the first four songs were, they saved the best for last. This is a killer melodic rocker that has a great accessible hook and alternative rock meets southern rock and melodic metal for the musical groove. This one just plain rocks like crazy.